The deputy head of the Ukrainian president’s administration has announced that a group of American instructors will arrive in Ukraine on April 20. 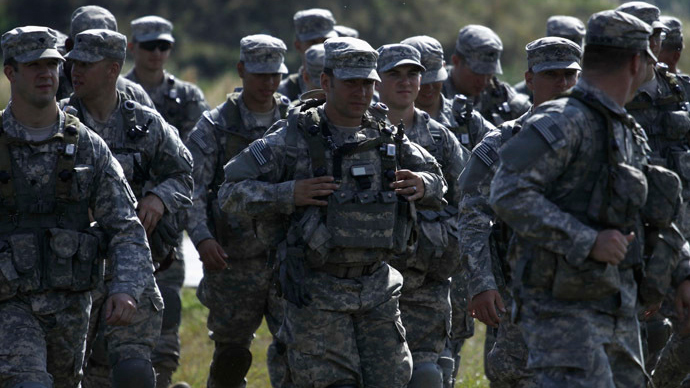 A month ago, Kiev reported that up to 300 US instructors had already been deployed in western Ukraine. 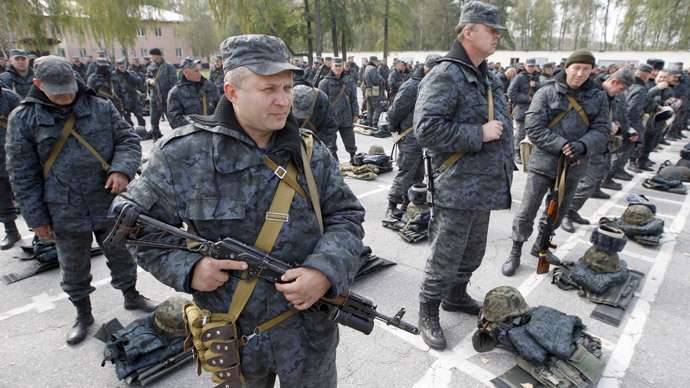 “A group of American instructors is set to arrive on April 20 in the Yavoriv range (Lvov Region) to train Ukrainian servicemen,” deputy head of the Ukrainian president’s administration, Valery Chaly, told Voice of America. Ukraine is satisfied with the pace of military cooperation with the US, but “would like to see more,” Chaly noted. 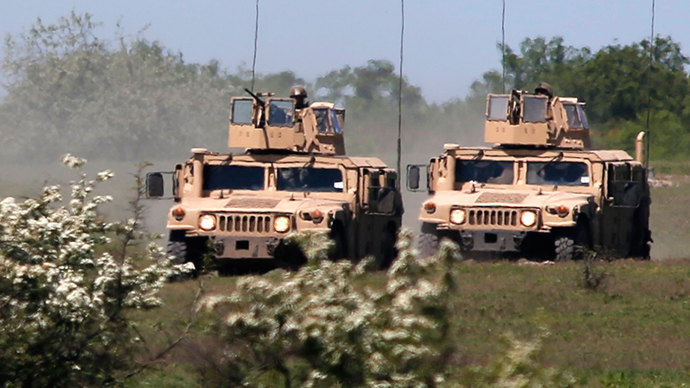 In early March, the Sputnik news agency reported that American instructors had already arrived at the Yavoriv training site close to the Polish-Ukrainian border. Near the western Ukrainian city of Lvov and covering 40,000 square kilometers, it’s the largest military firing range in Europe. If the American military are training the Ukrainians for a month, it could mean that what’s going to take place in late April is a rotation of US instructors. The news about American instructors emerged in January, when the US announced plans to spend $19 million to train the Ukrainian National Guard. The money was supposed to come from the Global Security Contingency Fund (GSCF), requested by the Obama administration in the 2015 fiscal budget to provide training and gear for the armed forces of American allies worldwide. It was reported the training would pay special attention to maintaining internal security of the state and territorial defense. 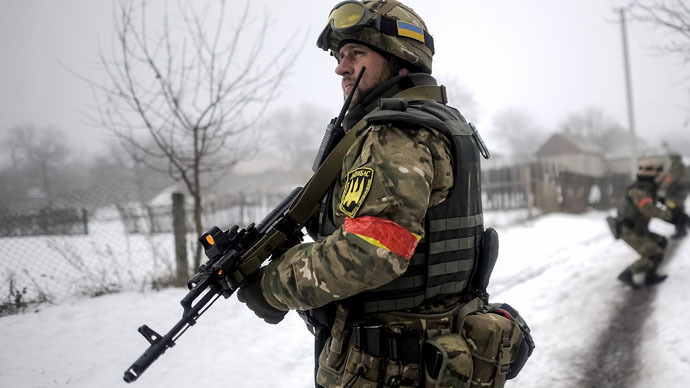 Pentagon spokeswoman Lieutenant Colonel Vanessa Hillman announced in February that officers from the 173rd Airborne Brigade Combat Team in northeast Italy would be deployed to Ukraine as part of the plan. 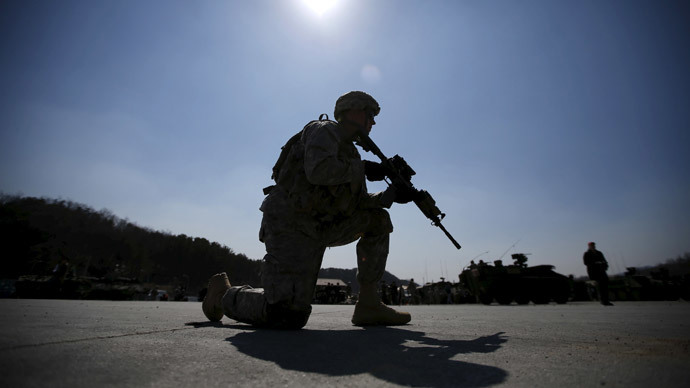 The Pentagon said US military training would be provided to 600 members of the Ukrainian National Guard, the Washington Post reported at the time. According to Hillman, the military aid requested by the Kiev authorities was to help the formation and strengthening of the National Guard, which Ukraine launched shortly after the coup in February 2014. Ukraine’s National Guards actively participated in the military offensive in the east of the country, which resulted in massive casualties among the civilian population of the Donetsk and Lugansk regions. The National Guards, together with ultra-nationalist Right Sector fighters, are accused of murder on a large scale after mass burial sites were recently discovered near Donetsk. In October 2014, Russia’s Investigative Committee said there was “strong evidence” of this. Last week, the notorious leader of Ukrainian ultranationalists was invited to join the country’s Defense Ministry. The invitation came directly from President Petro Poroshenko. In July 2014, Russia issued an international warrant for the arrest of Dmitry Yarosh. He is wanted by Russia’s Investigative Committee in connection with several criminal cases, including calling for terrorist activities in Russia. Ukraine’s President Petro Poroshenko has recently slated military war games with foreign participation for 2015 to be conducted on Ukrainian territory. It includes: Fearless Guardian-2015 (2,200 participants, up to 1,000 US soldiers); Sea Breeze-2015 (2,500 servicemen, including 1,500 from NATO member states), and Saber Guardian/Rapid Trident-2015 (2,100 servicemen, 1,100 from NATO member states).